I really can’t wait to see this. I’ve been a long time fan of ‘Star Trek’ and f friends asked my that age old question, “Star Wars or Star Trek?”, my answer was 10/10 ‘Star Trek’. 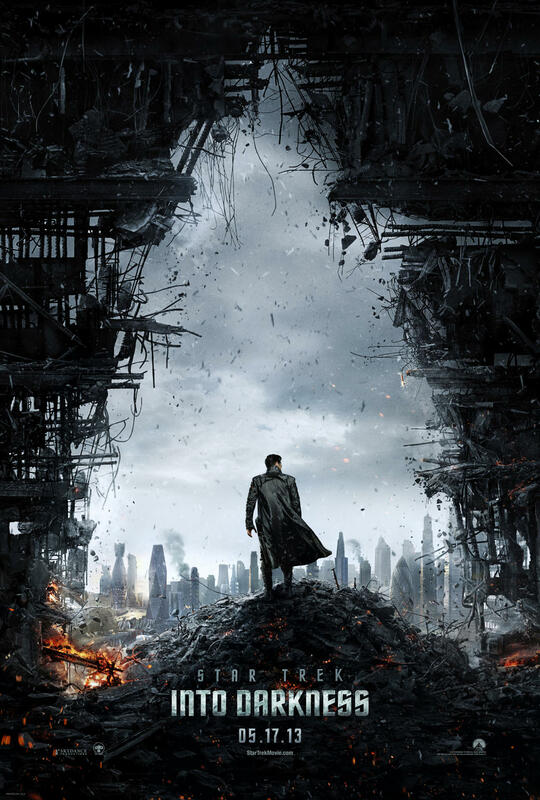 As we previously reported, the first several minutes of ‘Star Trek Into Darkness’ will be shown in front of ‘The Hobbit’ film, which my review will be posted shortly. Anyway, on to the poster. I really do like this poster, and tons of people are saying it is eerily similar to ‘The Dark Knight Rises’ poster, which I can see, but I think this one is tons better. I do hope at one point that we get the Enterprise on the poster, but this is a good one. The film opens May 17th, 2013. Can’t wait. This entry was posted on Tuesday, December 4th, 2012 at 10:48 am	and is filed under Film, News. You can follow any responses to this entry through the RSS 2.0 feed. You can skip to the end and leave a response. Pinging is currently not allowed. « Geek Deal of the Day! Seasons 1 & 2 of ‘Downton Abbey’! 60% Off! !